Ferrovial is exposed to a range of risk factors arising in countries where it carries out its activities and inherent to the sectors in which it operates. The company seeks to detect and assess risks, and implement timely control measures to mitigate their probability of occurrence and/or potential impact according to the strategic objectives. Moreover, new business opportunities can be identified because of the effective and efficient management of certain risks. Contractual disputes: fiscal consolidation policies in force in some of the areas where Ferrovial carries out its activities are negatively affecting the financial capacities of public sector customers and, therefore, their investment capabilities. The financial tensions affecting some public sector customers increase exposure to contractual dispute risks, which could affect the profitability of projects. The high level of legal security in the areas where projects are underway partly mitigate this risk. Regarding the main litigation opened in December 2017 relates to the contract between Amey and the Birmingham City Council in the United Kingdom, on 5 September 2016, the Tribunal’s decision was rendered in favour of Amey in all matters under discussion between the parties, although the other party requested permission to go to the Appeals Tribunal. During 2017 financial year, the company was involved in negotiations with the City Council in order to reach an agreed solution, although the City Council resorted to the following measures to the Court of Appeals, with negotiations finally held in abeyance. On February 22, 2018, this court has ruled against Amey in all matters and the intention of the company is to appeal the decision to the Supreme Court. At year-end, the company maintains an adequate provision to cover the final risks that may arise from this litigation. For further details, please refer to section 6.5.1 of the Consolidated Financial Statements. 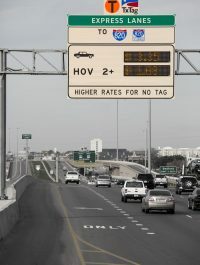 It is also necessary to highlight that, after the sale of the SH-130 toll road in the USA, the concessionaire presented a claim to the construction company, pending evaluation, in which Ferrovial participates with a 50% stake, for shortfalls in the construction. Competitive tension: the economic recovery slowdown in Europe and emerging countries negatively affects public sector investment capacity and could therefore affect the demand on infrastructures. This circumstance increases competitive tension in the international markets where Ferrovial operates with the resulting pressures on prices and profit margins in projects that, by their very nature, have significant execution risks, and on the technical references portfolio. 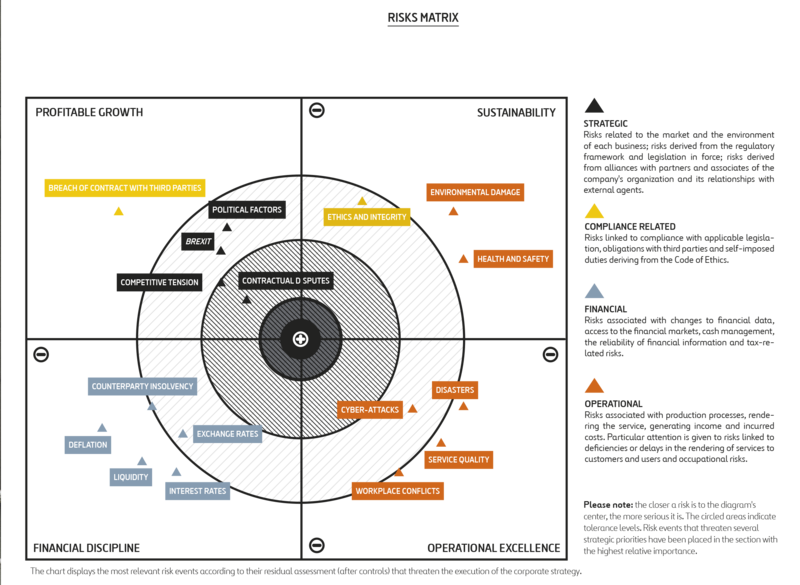 As a response to these risks, the company has an investment approval procedure in place for identifying and assessing the most relevant project risks, including risks generated by the competitive environment, and opts to tender projects for which it has the most appropriate risk management capacities that will yield a competitive advantage. Brexit: after the United Kingdom Government submitted its formal intention to leave the European Union on June 19, 2016, the exit process was formally initiated and a two-year negotiation period began to determine the new terms of the UK’s relationship with the European Union. The final result of this negotiation process is subject to a high level of uncertainty that could adversely affect economic conditions in the United Kingdom and/or in the European market as a whole, as well as contributing to instability in financial markets and global currencies, including volatility in the value of the euro. Ferrovial’s assets in the United Kingdom (16% of the value of assets according to analysts’ estimates), could affect its profitability and its ability to create value. However, these estimates have been tweaked toward a more optimistic outlook. Heathrow airport is the largest asset in which Ferrovial participates in the United Kingdom but the forecast for a potential slowdown or standstill in the British economy is not expected to significantly affect its activity when compared to similar situations in the past in light of the relevance of the asset and its current full-capacity status. In addition, the decision of the British Government to move forward with the third runway project, pending final parliamentary approval, highlights the importance that the airport has for this country and, therefore, its lower exposure to this risk. In the case of the Services business, which operates through Amey, the impact of budgetary restrictions of Public Administrations may continue to affect the business, although both Services and Construction may be positively impacted by the need to improve the transport network that entails more investment and maintenance tenders in the medium-term. Section 5.4 h of the Consolidated Annual Accounts shows how the Brexit has impacted on the main financial figures, contrasting the negative effect of the performance of the exchange rate with the positive effect of the increase in the inflation rate and the reduction of interest rates, and therefore, of the discount rate on the regulated assets of Heathrow airport. Regulated assets, indexed to inflation, increase their value as inflation increases. In response to the risks that could emerge from Brexit, Ferrovial will continue monitoring the developments in negotiations between the United Kingdom and the European Union, foster operating efficiency measures across its diverse business areas to adapt to arising market circumstances, and continue tracking the trends in the financial markets to take the appropriate coverage measures. To hedge the foreign currency risk, Ferrovial has arranged hedges to cover the amount equivalent to approximately the dividends it expects to receive from UK assets over the next three years. See Note 5.4 of the Consolidated Financial Statements. Political and regulation factors: In general, most of Ferrovial’s operations are in countries with a high level of legal certainty and where there is an expectation of socioeconomic stability and transparent tax regulations, as in the case of the United Kingdom, the United States, Canada, Poland, Australia and Spain. Nevertheless, recent political events characterized by the exponential growth of protectionist policies and fiscal consolidation could affect the taxation, legal and regulatory environments in which the company operates, negatively affecting the targets of profitability and growth. In this regard it can be mentioned that the expansion of Heathrow Airport is subject to the authorization of the British Government and Parliament. In the specific case of Spain, growth prospects may also be affected due to the uncertainties derived from political and social initiatives in Catalonia, calling for the separation of the region of Spain. To mitigate this risk, Ferrovial permanently monitors the regulatory and legislative processes that may affect its activities, as well as the political movements that may occur, in order to anticipate possible changes in time for proper management. Ethics and Integrity: While conducting its activities, Ferrovial is exposed to ethical risks. To mitigate these risks, Ferrovial has a Compliance Model that is developed under the principles of respect for current legislation, ethical integrity, transparency and Zero Tolerance toward criminal actions. The purposes of the model are: i) to provide all Ferrovial administrators, directors and employees with a general framework of action to which they must abide when doing their job based on the highest standards of integrity, transparency, respect for legality and human rights; ii) to establish a common and homogeneous framework for monitoring, controlling and managing compliance risks, especially those aimed at the prevention of criminal behavior; iii) to foster a culture of business ethics in the organization and in the decision-making and training processes of the will of administrators, managers and employees. On October 31, 2017, the Broadspectrum contracts with the Australian Government’s Department of Immigration and Border Protection to provide welfare, maintenance and security services at the Regional Processing Centers of Manus (Papua New Guinea) and Nauru simultaneously ended. As a result, Ferrovial fulfilled its commitment in May 2016 when it acquired Broadspectrum, to not continue with these contracts once they expire, given that these activities were not included in its portfolio of services. During these months, Broadspectrum has prioritized the safety and welfare of these refugees and asylum seekers, while working very closely with the new suppliers to ensure the best transition in both Nauru and Manus. In January 2018, the Provincial Court of Barcelona notified the judgment of the Palau Case, not condemning the two directors related to Ferrovial Agroman who were accused. Ferrovial encourages compliance with the principles of ethics and transparency and the responsible behavior of all employees, regardless of their hierarchical level and the country in which they work, and ensures that other individuals or groups that carry out activities on behalf of Ferrovial, including contractors, agents, consultants and other business partners, do so as well. Cyber-attacks: Ferrovial’s infrastructures are exposed to cyber attacks with the consequent impact on people and on their own infrastructures, which may even lead to them coming to a standstill. Those most exposed to this type of risk are the airport and road infrastructures. In this regard, Ferrovial collaborates with security authorities to implement the most appropriate security measures and systems to prevent attacks on its infrastructures. Furthermore, the implementation of cybersecurity measures reduces the risk of unauthorized access to the company’s information and operating systems. – Emerging risks: Ferrovial assesses and monitors the status of emerging risks that could negatively affect its ability to meet strategic targets or risks that, despite their low likelihood of occurrence, could nevertheless have negative effects on its business targets. Some of the more prominent risks include natural disasters or risks caused by human action, humanitarian crises, anti-globalization and protectionist political movements to reduce international investment and jeopardize free competition, the disruption and/or technological obsolescence and impact on technology innovation in managing infrastructures. Likewise, environmental risks are monitored, mainly those related to the effects of climate change (the “environment” section of this report, explains Ferrovial’s strategy in relation to this matter). The company seeks to anticipate the occurrence of these risks to adapt its strategy sufficiently in advance. -Financial risks: the company actively assesses and manages the risk exposure of the main financial variables: interest rate, exchange rate, share price, liquidity and credit. The analysis makes a distinction between the policies applied in infrastructure project companies and the rest of companies, in those cases where such a difference is relevant. The financial risks and applied management measures are described in section 5.4 of the Consolidated Financial Statements. Ferrovial has a Risk Control and Management Policy that was approved by the Board of Directors to establish the acceptable risk and tolerance level per risk factor. These policies sets the general engagement framework for controlling and managing risks of diverse sorts that the managing team could encounter when attempting to attain business objectives. 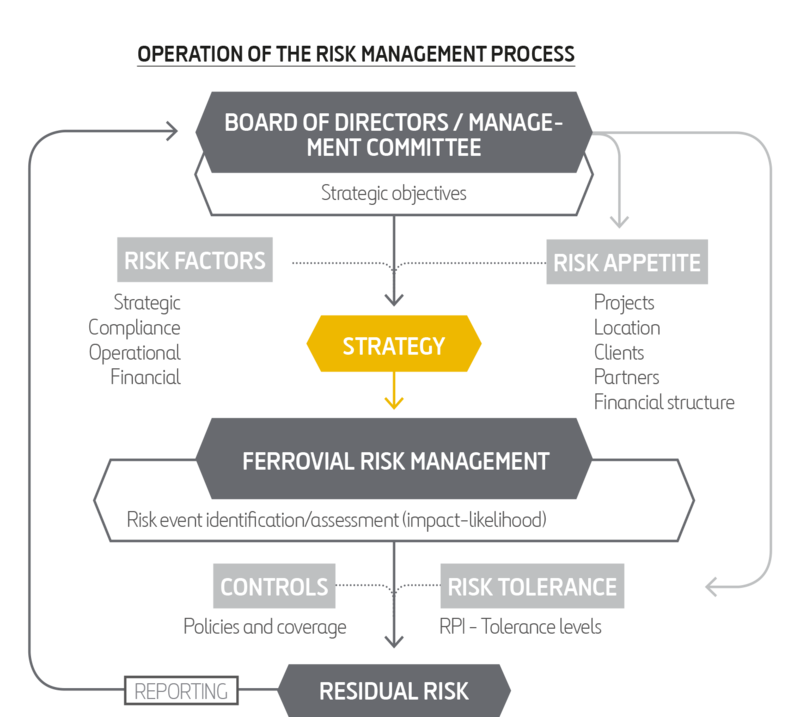 The Ferrovial Risk Management (FRM) is the company’s risk identification and assessment process, which is supervised by the Board of Directors and Management Committee, and implemented in all business areas. This process was created for the early detection and assessment of risk events based on their likelihood of occurrence and potential impact on strategic objectives, including corporate reputation. This enables Ferrovial to roll out the most suitable management and protective measures according to the nature and location of the risk. The identified risk events are assessed using common metrics: one inherent, before the specific control implemented to mitigate the risk, whether impact or likelihood, and one residual, considering specific control measures. Furthermore, both assessments make it possible to determine the relative importance of each risk event in the risk matrix, assessing the effectiveness of the implemented measures for managing them. For further details, please refer to section E in the Annual Corporate Governance Report.